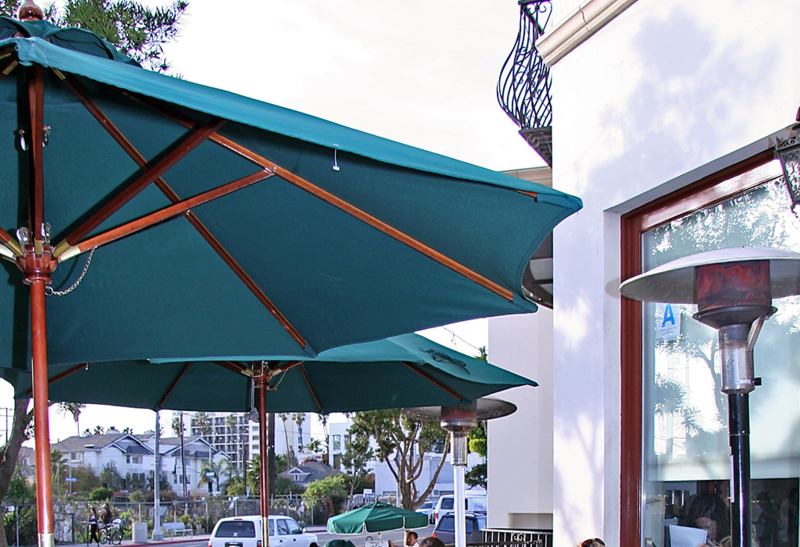 A bustling cafe located in sunny Santa Monica, offering a vast menu of American eats plus a variety of organic coffee drinks. 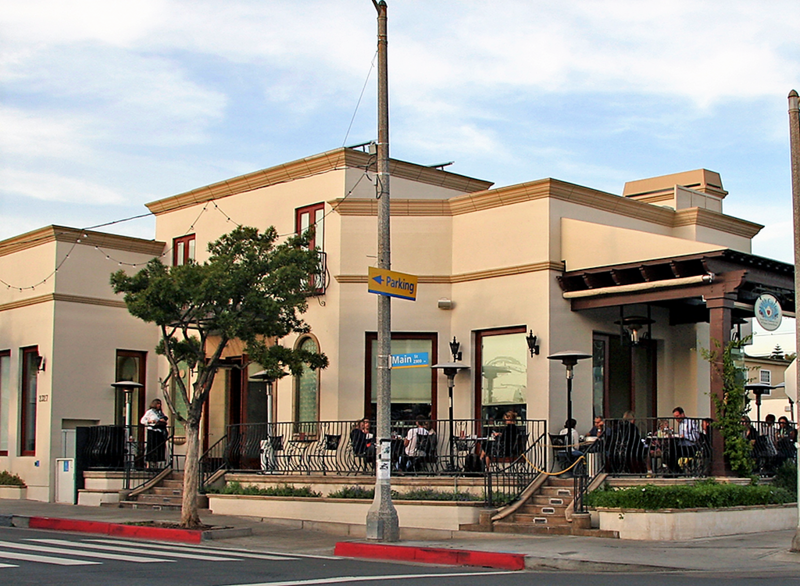 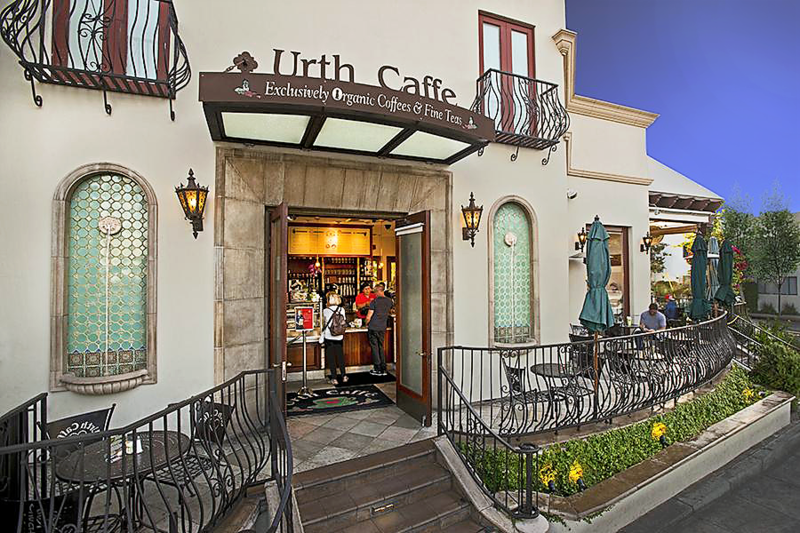 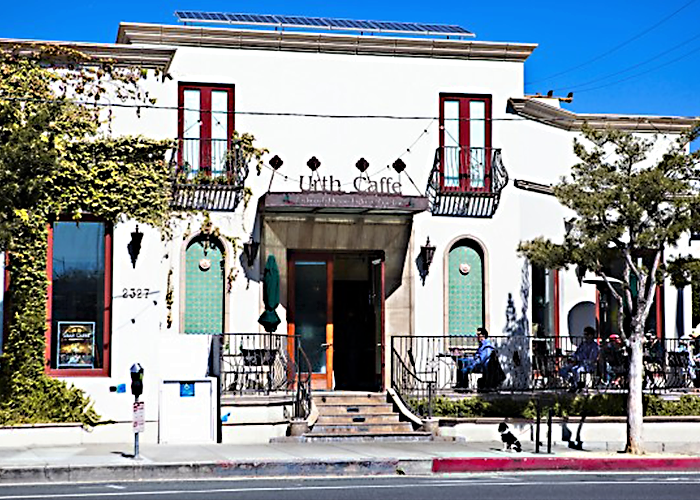 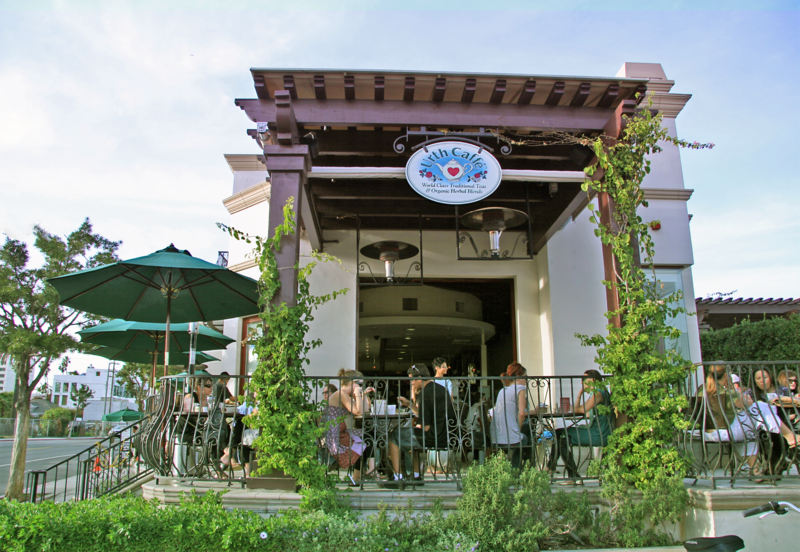 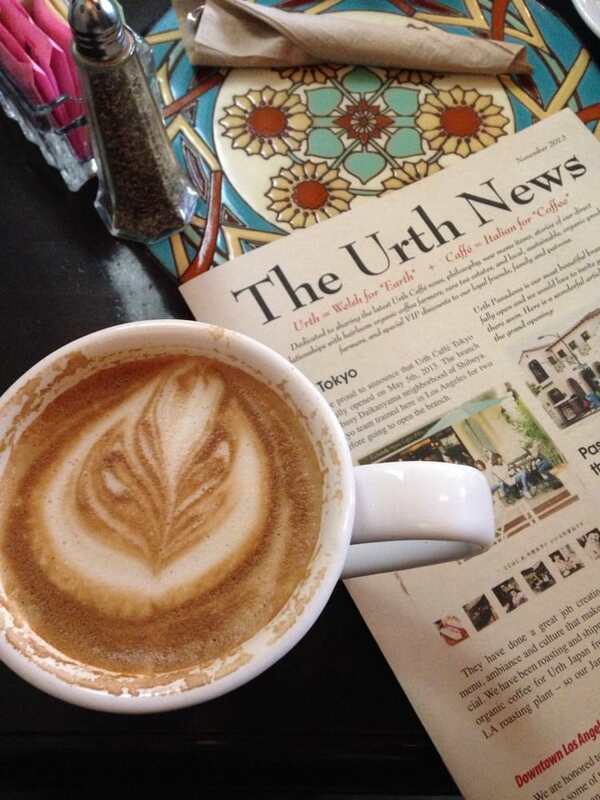 The local hotspot is one of Urth Caffe’s in the chain of restaurants. 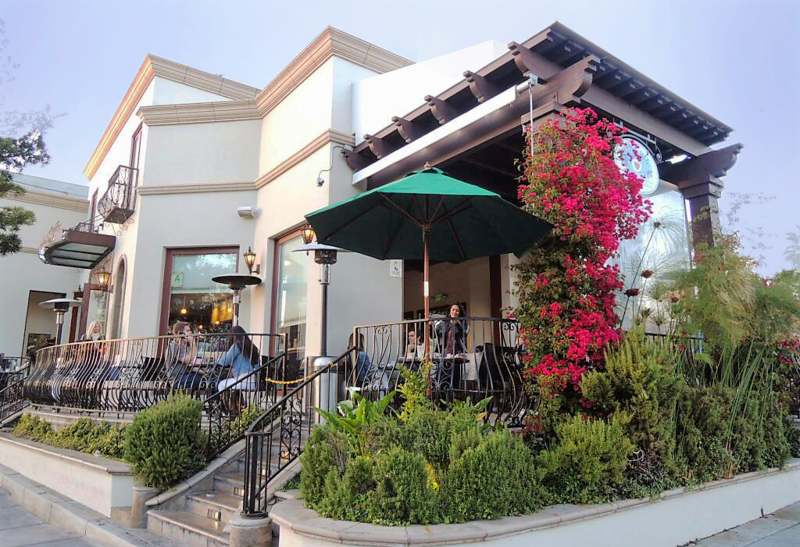 This location, in particular, has an attractive outside patio with flowers and bushes throughout. 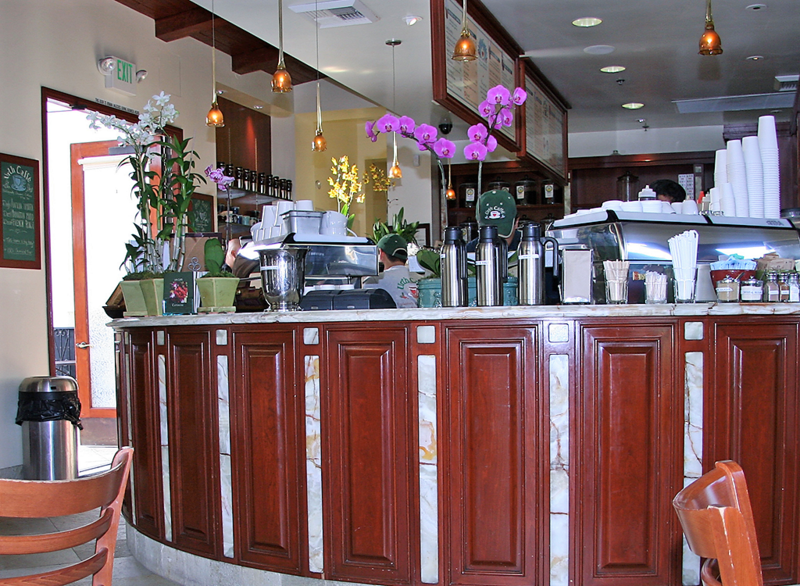 The inside offers guests a quiet place to drink coffee and catch up with some work. 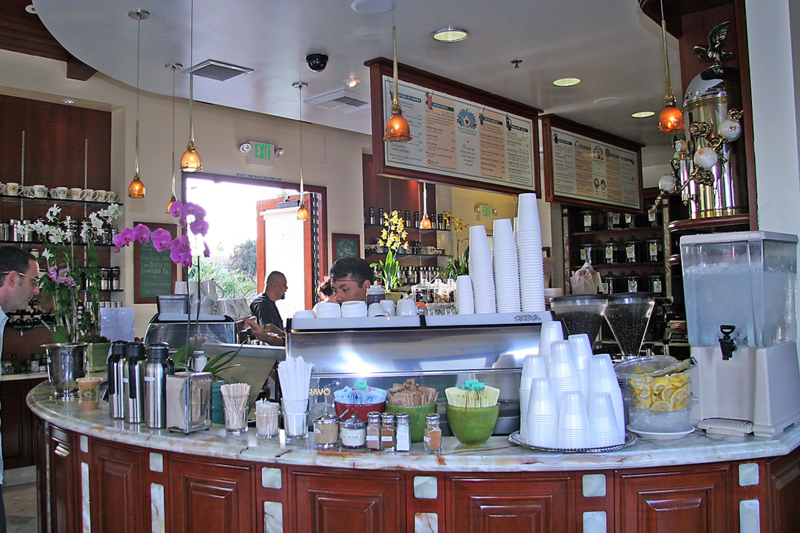 Many of the furniture features, including the bar, doors, and tables use a wood with a high gloss. 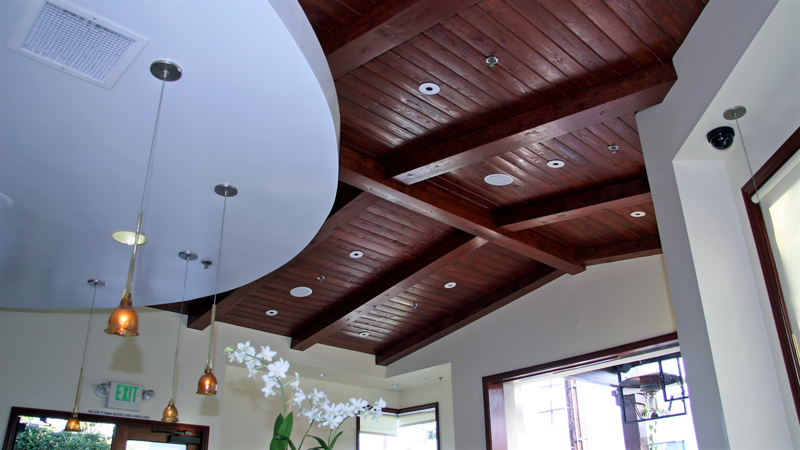 The ceiling has exposed support, meant to bring the space out of a generic restaurant and more into a fresh and hip place to come hangout.